Students read clues on each rung, then change and rearrange letters to create words until they reach the top. All the while, they’re boosting decoding and spelling skills, broadening vocabulary, and becoming better, more fluent readers. Supports hands-on learning! 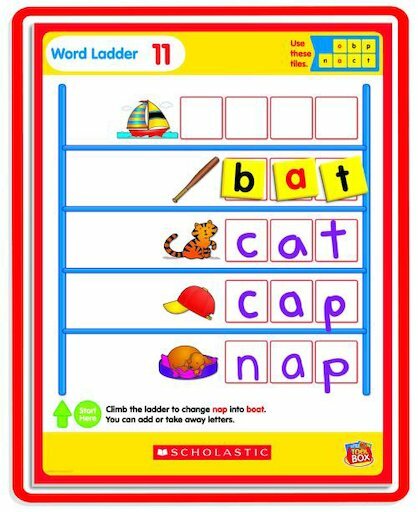 Includes two 11” x 14” magnetic write-on/wipe-off mats, 70 magnetic foam letter tiles, 30 laminated word-building activities, and complete teaching guide.